Welcome to Top 5, where every week (or 2) we’ll discuss your favorite top 5...things...in categories...and such. 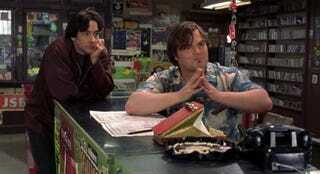 Honestly, I was watching High Fidelity the other day (awesome movie! ), and thought “Hey, if those guys can sit around talking about their Top 5 lists, why can’t we?” So here we are. Today we start simple, or not, depending on who you are and if you read manga. I promise something video game related next time. The post on Kotaku this morning about Bakuman inspired.